A culling I go ! Its been a busy month April 2014. I have completed the 30 day game that is referenced on the web site the minimalist.com. And prior to the start of the game on April 1st, I had completed some culling. Yeah what is “culling”? 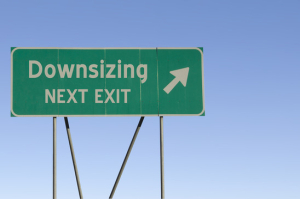 I never heard that term prior to completing an E-Cource I took online titled “Tiny Transition and Downsizing” referenced on the website cometcamper.com. So culling is the word comes from the Latin colligere, which means “to collect“. The term can be applied broadly to mean sorting a collection into two groups: one that will be kept and one that will be rejected. The cull is the set of items rejected during the selection process. The culling process is repeated until the selected group is of proper size and consistency desired. So that is what I have been working on like a busy little mouse fixing my (nest) living space. For downsizing “rejected” means to sell, donate, and trash. It has not been easy to let go of stuff, but it has been a process I want and need to work on. More future posts will be dedicated to my living space. Since I started the ”Tiny Transition & Downsizing” e-course, I have been documenting my donations. I list the date, qty, item discription, and value for tax purposes. I have tallied up my qty total today up to the end of April.. my total qty donated items small, medium, or large is 1389. That is an unbelievable amount of stuff now out of my space. I am so happy with the results, and at the time at times seemed brutal, very hard to push through it. It was a little effort each day/week, bite size effort to massive results!! Now that I have decided to do the 30 Day Game again my 2nd round, it feels like I am riding bike down hill and NOW I can enjoy the view around me. I really am so please. And the stuff I pick and got rid of were things I do not regret moving. But I still am glad I took photos of the stuff. For me, taking photos of the items made it easier to let things go. Much success on your journeys as well. -Less Stuff, +More Joy, =Great Love! This entry was posted in Uncategorized on May 2, 2014 by troykoubsky. Maybe you can take all those photos of all that stuff and make a collage and post it on here? 🙂 Great work, Troy. I love that you kept track of everything you got rid of and have a grand total of all items – wish I had done that! It would be a real eye opener!